It’s taken more time to write about this reconstruction, because it is perhaps a more sensitive subject, and more complex, than any I have written before about Mormonism or Christianity, yes, even more so than Jesus or Joseph Smith (which might be an indication that something is off-kilter). The Salt Lake City based Latter-day Saints take the Book of Mormon very seriously as a holy text, as scripture revealed by God, similar to the Bible, and perhaps even more important than the Bible. The Book of Mormon is one thing that makes them unique, their own testament of the divinity of “Jesus Christ,” which they believe is also evidence of the unique prophethood of Joseph Smith and the divinity of the church he organized as God’s “true church.” But I think the truth may be much more nuanced. It’s taken more time to write about this reconstruction, because it is perhaps a more sensitive subject, and more complex, than any I have written before about Mormonism or Christianity, yes, even more so than Jesus or Joseph Smith. The Salt Lake City based Latter-day Saints take the Book of Mormon very seriously as a holy text, as scripture revealed by God, similar to the Bible, and perhaps even more important than the Bible. The Book of Mormon is one thing that makes them unique, their own testament of the divinity of “Jesus Christ,” which they believe is also evidence of the unique prophethood of Joseph Smith and the divinity of the church he organized as God’s “true church.” But I think the truth may be much more nuanced. The Book of Mormon is said to be an ancient work, a book written by prophets who lived on the American continent. These ancient prophets are said to have descended from people who left Jerusalem around 600 BC, and who traveled across Arabia and then in ships across the ocean to arrive at the American continent, and who wrote about their people, and the dealings of God among them, until about 400 AD. They are said to have worshiped Christ, prophesied his coming, and who received a visit from the resurrected Jesus shortly after his death in Jerusalem. Jesus’s words in the Bible that there are “other sheep I have, which are not of this fold” (John 10:16) is interpreted to mean these ancient people of America. The ancient American prophet who is said to have compiled all of these writings was named “Mormon,” which is where the book gets its name. These writings attest to the Christian gospel, often corroborating or extending teachings in the King James Version of the Bible (and specifically from that version, which I think is insightful). Mormon is said to have condensed all the writings down to a single volume, which he engraved onto gold plates. Mormon purportedly gave these plates to his son, Moroni, who then eventually buried the gold plates in upstate New York. In 1823, it is said that the angel Moroni returned to the Earth and appeared to Joseph Smith and told him where the plates were buried. 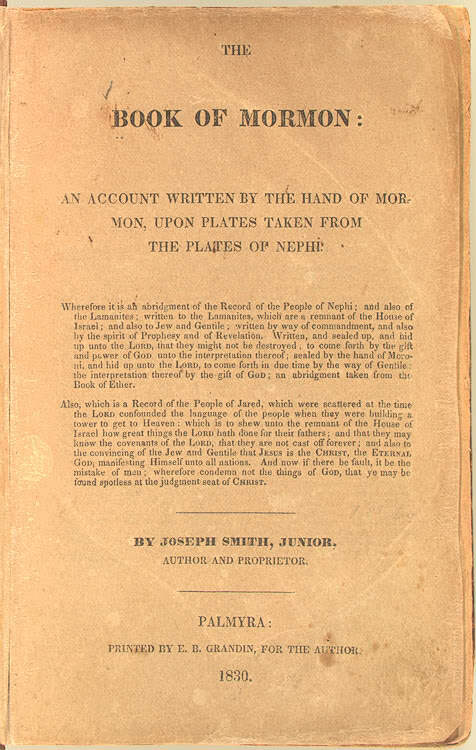 Joseph said he recovered these plates, translated them from their ancient “reformed Egyptian” language into English, and published it in 1830 as the Book of Mormon. This volume of scripture is read alongside the Bible in the LDS Church, including a couple other books of scripture, revelations of Joseph Smith, the Pearl of Great Price, and the Doctrine & Covenants. There seems to be numerous problems with this dominant narrative of the origins of the Book of Mormon, problems which many Mormons are trying to grapple with currently. The common narrative is failing, or has failed for many people, and we need radical new interpretations of the origin of the Book of Mormon, its nature, and what it means. I will offer an interpretation based on my own experience and understanding, in hopes that it may be helpful to those looking for a better explanation. It can’t be historically ancient. There is little to no evidence of the book’s origins in ancient pre-Columbian Mesoamerica. Many Mormon scholars over the years have tried to put forth research showing its provenance in an ancient American setting, but none of this is convincing to most modern non-Mormon scholars, historians, anthropologists, archaeologists, Mesoamericanists, linguists, scientists, academics, theologians, etc. There just isn’t any solid evidence for the presence of that civilization(s) at the times and places where it is said that they lived. The book just doesn’t match the place or people who lived there, despite Mormon scholarship. 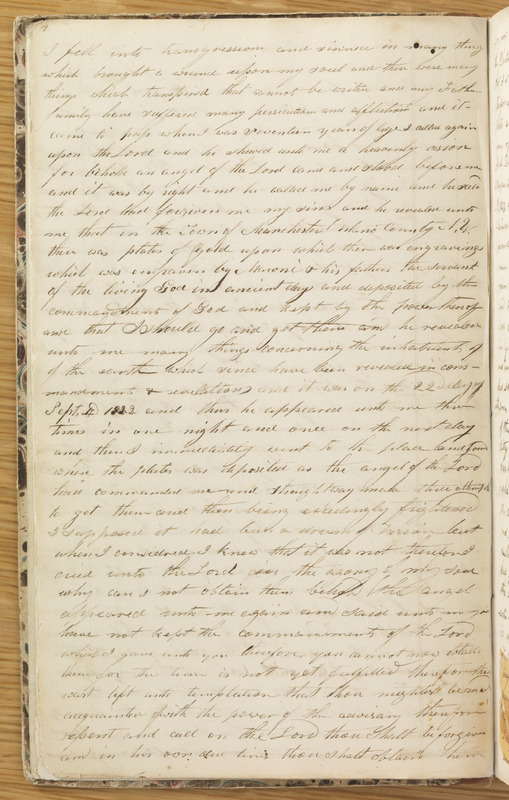 This is considered by some to be devastating to the narrative about the book, and to Joseph Smith’s claims about the divine origins of the book. No pre-Columbian Mesoamerican people knew about Christianity. Related to the last point, there is no evidence for knowledge of Jesus or Christ in the Americas prior to the European conquests and colonization of the Americas, when Roman Catholics brought missionaries and Christianity to the New World. The Christian gospel, at least in that formulation, was not present in the Americas prior to about the mid-16th century when perhaps the Spanish established settlements in Florida. There’s no evidence that Jesus visited the Americas after his death in Jerusalem. There is evidence of a real historical person named Jesus having lived in and around Jerusalem, even if there is much debate about what details about his life and teachings can be said to be historically accurate. But outside of Mormonism, there seems to be no evidence that Jesus was ever in the Americas, no traditions, no history, no oral folklore, no indigenous stories, no glyph carvings about it, nothing. For a time it was thought the Mesoamerican deity Quetzalcoatl might be Jesus, but even Mormon scholars now reject that theory. Given that I don’t think people literally resurrect through the reanimation of a biologically dead body, not even Jesus, that also makes it impossible that he could have appeared anywhere after his death, let alone in the Americas. (I think the stories of a resurrected “Christ” would be better interpreted as mystical experiences of union in God). The King James Version of the Bible is extensively quoted, almost word-for-word, or paraphrased throughout the Book of Mormon, which means those words are not ancient. Of course, the KJV of the Bible was not published until 1611 under King James I of England, and quickly became one of the most popular translations of the Bible into English. Since the KJV would not have been available to the ancient inhabitants of the Americas, that language could not have been borrowed by them for inclusion in their writings. Not only that, but some parts of the Bible that are included were not even written yet, such as those in the New Testament, when the Book of Mormon people are said to have left Jerusalem and take scriptural records with them. The KJV must have been the source of these words in the Book of Mormon, likely coming from Joseph Smith himself. Disembodied spirit beings, or angels, of people who have died in the past have never been shown to be literally real. Many people throughout history have experienced something like angels, or angelic visions, experiences of people who have passed on. These come in the form of apparitions, ghosts, voices, dreams, visions, near death experiences, etc. It seems to me that these are not actual people who have returned from the dead, but are also related to mystical experiences, of penetrating deeper states of consciousness and being within the mind, beyond the personal ego-self. So “Moroni,” even if he were a real historical person, could not have literally returned to Joseph Smith to show him the location of gold plates, etc. Something else is going on here. The nature of the “gold plates,” “reformed Egyptian,” the witnesses, the translation method, and many other circumstances surrounding the source of the book, are mysterious. I presented a paper at a conference last year where I suggested that “Joseph Smith’s activity in bringing forth the Book of Mormon can be viewed as a project of [literary] alchemy, which was influenced by his affiliation with treasure digging, the folk magic worldview, the Hermetic tradition, as well as his many mystical spiritual experiences. I suggest he initially sought to bring the ‘gold plates’ of his visions into material reality, and in the process discovered the true ‘gold’ was within himself, the elusive Philosopher’s Stone.” Mesoamericans were not known to have kept records on gold plates, in any kind of language related to Egyptian, Joseph didn’t look at any said “plates” while “translating,” and the witnesses testimonies of seeing “gold plates” are also quite mystical in nature. All of these things, and more, seem to me to be evidence that the narrative surrounding the Book of Mormon desperately needs to be changed and revised. We need radical new interpretations of what this book is, where it came from, how it was produced, and how it may still be valuable to people today. For if we think the origins of the book and the circumstances surrounding its emergence are completely bogus, it’s hard to take the words in it seriously as a guide for our spiritual life. Unfortunately, many critical perspectives of the Book of Mormon see these problems I’ve outlined above (and many more) and conclude that the book therefore must simply be a fraud, a fake, that Joseph Smith made it all up, a mere fabrication, an intentional fiction, or it was all part of a conspiracy between multiple people, plagiarized from other sources, etc. Those interpretations don’t make sense to me, however, and the fact that the book has been deeply inspiring to many millions of people for almost two hundred years. There is a deep spiritual nature in the book that can’t be accounted for through simple or complex forgery, fraud, conspiracy, criminal activity, charlatanism, quackery, etc. We need a better narrative, a more genuine story, a truer interpretation. And I don’t think we need to fear the truth, for if there is one thing that God is, God is Truth. And there are many many more, hundreds in fact. Where do they all come from? It seems to me that humans have been having transcendent mystical experiences for perhaps tens of thousands of years, experiences of the sacred, of the divine, of Spirit, of God, of Ultimate Reality, of the “supernatural,” experiences that seem to transcend all normal everyday life and perception, and yet reveal aspects about life that seems to be deeply real truth, that shows how we should live, that tells us what we are. When writing became available, the people who had these experiences sometimes wrote them down to the best of their ability to pass them along to other people, either for historical record, and/or for their community to use. Their experiences were so profound, so revelatory, so life-transforming, they wanted others to know what they had experienced, and so they translated their experience into words, and wrote it down on whatever medium their particular culture had at the time. These writings sometimes evolved into complex liturgies, rituals, practices, and other facets of religion, including religions themselves. It seems to me that Joseph Smith was participating in this same pattern that has taken place since the beginning. He was a deeply inspired man, he had sublime mystical experiences, experiences that seemed to transport him into heavenly realms, that transcended his everyday consciousness, and which seemed to unveil the ultimate meaning of life, creation, and existence. And so he translated his experiences into writing the best he could for the benefit of others. But how did the Book of Mormon emerge? 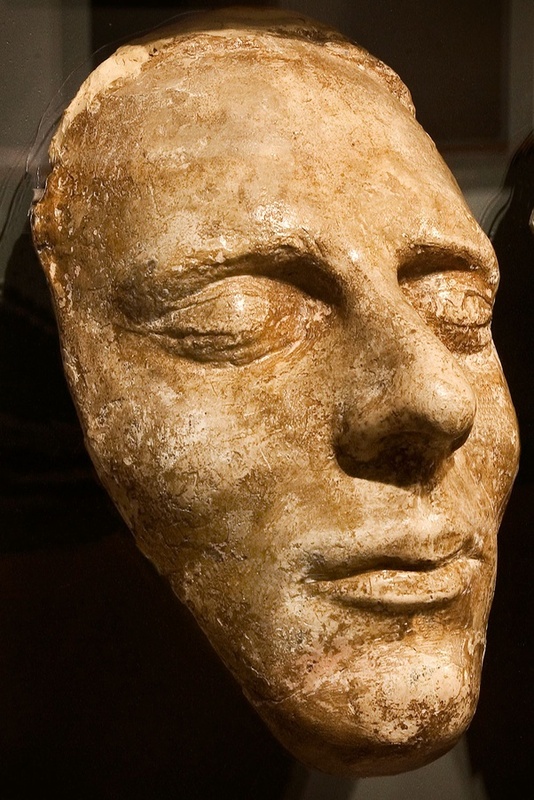 Death mask of Joseph Smith, Church History Museum. As I noted in my essay about Joseph Smith, I think he was a mystic, a visionary, a contemplative, an adept, a seer, who was able to access altered states of transcendent consciousness with apparent ease. It is said of him that when he was young he had a very active imagination and could tell his family stories for hours. It seems he was very gifted in his mind, and perhaps could access states of consciousness and perception that most of us never even know exist in humans. He may have had very vivid dreams, visions, images that filled his mind’s eye to overflowing. More specifically, I think the words flowed out of him from a deep altered state of consciousness, a divine state of consciousness, what we might consider a meditative contemplative state of consciousness. I think he used his seer stone in order to facilitate focusing his mind onto that meditation object, and causing this shift of conscious awareness. Rather than his mind being pervaded by the typical egoic thoughts that we are so often familiar, I think Joseph was able to change his consciousness to a much more focused, open, and creative state, one which we are mostly unfamiliar with today. It is from that deeply transparent, open, aware state of mind that I think he was able to dictate the words that became the Book of Mormon. I think they came out of his consciousness, his deep state of consciousness, perhaps beyond all typical “Joseph self” egoic consciousness, but still consciousness arising within Joseph. He perhaps reached depths of consciousness that we have never known, and few ever know. This may even be referred to as God consciousness, but it was still arising within Joseph’s body-mind. He notes on occasion that his mind had to be in a very specific mode in order for the translation to work. I think it is these kinds of depths of consciousness that he was pointing at. All of this was, I think, set within the folk magic worldview that Joseph lived in. He did not know he was “altering his consciousness,” but simply thought that staring at the seer stone somehow opened up divine visions, visions of God, or messages sent by God. When his mind changed to modes of consciousness where images, people, objects, and symbols appeared, he took them as evidence of Divine power and origin, and he took them as very real and literal. He certainly didn’t seem to think he was generating these things himself, from his own ego-mind. They seemed to be coming from someplace beyond “him.” And so he interpreted his experiences as best he could, according to his culture, education, and religious upbringing. He said these visions came from “God,” that the people he saw in vision were “angels,” that he was being guided by them to bring forth a new gold treasure, “hidden treasure,” that would have words of wisdom written on it that he had seen in vision, even of people and ancient civilizations that he had seen. It would reveal the source of the native inhabitants of the Americas, which was apparently a popular question on many minds at the time, including perhaps Joseph’s. It would also clear up many questions about religion and God that were circulating at the time in the region. All of these things seem to have come together, mixed and matched, combined and developed, and eventually formed a narrative in Joseph’s mind. Joseph may have been unaware of how this was happening in him, deep in his psyche. All that he knew was that it was happening, and it seems he tried to participate in it, go with it, trust in it, and let it unfold as it would. In other words, he allowed his visions to spill over onto paper, not resisting them, not trying to control them, not constructing them or constricting them, but allowing them to come out of him. I think Joseph may have dictated most of the text “automatically,” what is known as automatic writing [or psychography]. There are other spiritual texts that have been written similarly this way, including Jane Roberts’ Seth Material, and Pearl Curran’s Patience Worth. This seems to be a type of writing that emerges from the unconscious mind or subconsciousness, coming from areas of the mind and brain that are not necessarily fully in conscious awareness, deep from within the psyche. Thus Joseph himself may have thought that he was being given the words from an external divine source, yet they were emerging from his own deeper consciousness, an internal divine source, outside of his conscious awareness. There is still much we don’t know about automatic writing, but I suggest the words were reflective of his own experiences in life, his own deepest thoughts about God and interpretation of his very real experiences of the Divine, his personal ideas about the ancient Americans, and a profound gift of creativity, which brought it all together in an exquisite spiritual allegory. So I suggest that Joseph himself didn’t actively write the text. He passively wrote it, or he was the “medium” through which the text flowed. When I say “medium” or “channel,” I don’t mean it in the spiritualist sense that he was actually contacting the dead, but I do mean that he was reaching spiritual states of consciousness where very deep insights into the nature of life, and being, and existence, and consciousness itself seem to emerge. He was diving deep into consciousness itself, the roots of awareness, the foundations of being, the ground of being, which is actually where many religious traditions say that God may be found. Consciousness begins to become conscious of itself as the basis of reality, the Creator, the Source, the mystical fountain from which all creation flows, the One from which all things emanate, the Ultimate Reality from which all the cosmos manifests. And I don’t think this is just spiritual truth, but metaphysical truth about the nature of reality. I think in our depths we are a reflection of the cosmos itself, having emerged from the cosmos, and I think in deep contemplative states of consciousness we can actually become aware of ourself in and as the Divine, as God. The Cosmos comes to know itself, in us. How do I know these states exist? I’ve experienced them myself. I have had several mystical experiences that showed me just how limited our everyday state of consciousness is, just how filtered and narrow it has become, just how veiled it is, or how it veils the deeper truth about nature and reality. I’ve experienced that “veil” drop, and I’ve seen what’s on the other side. And it is wondrous beyond all imagination. It transcends imagination, transcends all intellect. The intellectual mind actually falls away, and one perceives the nature of things in their true quality, their real essence. And what is perhaps most remarkable about it is that you no longer feel separate from it, but like you are participating in it, that it is another facet of your own self. What you see is what you are. You are in God, and God is in you (see John 14:11). I believe it is these kinds of mystical states of consciousness that Joseph Smith was tapping into. I think he was using his seer stone as a “meditation object,” just like many meditators today use their breath as the focus, or a candle flame (as I believe Richard Rohr does), or a rosary, or a mala, or a dish of water, or a mantra repeated in the mind, or a sacred word. Anything either in the mind, or externally as a physical object, can be used as a center of concentration or focus or attention for the mind, to train the mind to become one-pointed on that object. And after long enough practice this can begin to cause altered states of consciousness to emerge in the mind, meditative states, states which begin to transcend ordinary dualistic thinking into nondualistic consciousness. It seems Joseph Smith had several years of practice with seer stones before he began to have his deeper visions and revelations. I suggest that during this time he was becoming adept at altering his consciousness. I think Joseph Smith began to experience visions in these nonordinary states of consciousness, images from deep within his unconscious or subconscious would float to the surface of consciousness, and he would become aware of them there. Symbols would appear, and his deeper mind would then give translations to these symbols. Intriguingly I think we have examples of this phenomenon happening in more modern times. See the book Xenolinguistics by Diana Slattery if you are interested in diving deep into this subject. It is all about the origin of language, of alphabets, of the symbolic expression of meaning, of the foundation of semantics in the mind, how the mind makes meaning out of the most primal raw elements of consciousness. People who have experienced deep states of consciousness, either through meditation or the use of entheogens, have noted that they have sometimes witnessed symbols appearing in the mind, unrecognizable symbols and scripts, which they then say they “translate” into meaning. There are other examples of this phenomenon, even in the Bible, such as the story of seeing unreadable writing on the wall in Daniel 5. 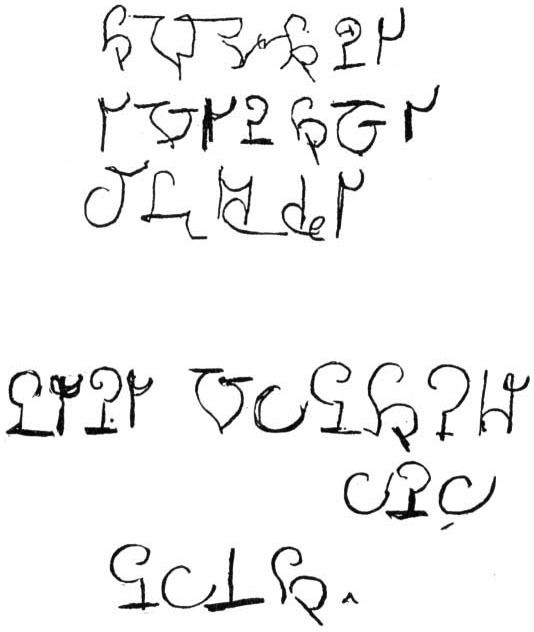 But there are other modern examples as well, even from automatic writing, such as Hélène Smith, a late 19th century French medium, who automatically wrote in a script she called “Martian,” which only she could subsequently translate into French. 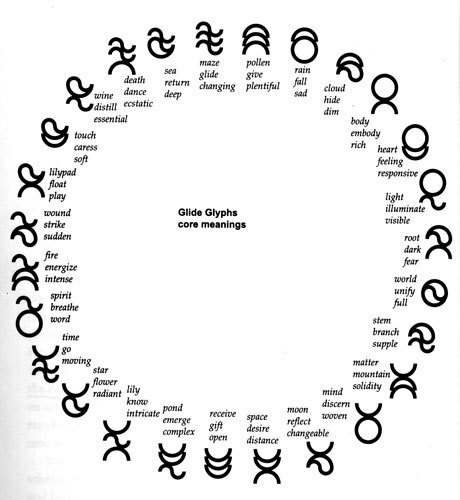 I think what we are seeing in all these examples, including Joseph’s, is the mind’s ability to form language from experience, the mind is in the act of language construction, symbol-making, the very primal act of meaning-making itself, on the most fundamental pre-linguistic level of consciousness (as Gardner talks about in his book [The Gift and Power]). As mentioned in passing above, I think one of the most remarkable parallels in the history of world religion to Joseph’s “translation” work is the Tibetan Buddhist tradition of tertöns and terma, which I’ve written about before here and here. I won’t repeat what I wrote there, but in brief, this is a tradition in Buddhism of certain seers known as tertöns who would receive revelations, terma, that they believed were buried in the ground, perhaps for thousands of years, and which they were revealing anew, and they would write them down as new sacred texts. 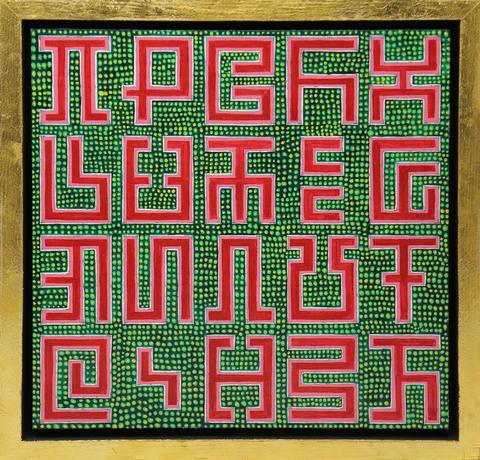 These were often written in an obscure script called dakini, which the tertöns would then have to “translate” into intelligible language. It has been noted that these texts were not literally hidden in the ground somewhere, but were more likely embedded within the minds of the tertöns themselves, in the nature of mind and consciousness itself, and by attaining a pure state of consciousness the tertöns could “recover” them. This wisdom, in other words, was “buried” within themselves. I suggest Joseph Smith was doing the same thing. It’s fascinating that the same kind of tradition emerged in such disparate parts of the world and history, which I think points to a common pattern. Wisdom, or Sophia, is the name given to that which the great philosophers and sages have looked towards since ancient times, even since Plato. It was the highest good, the greatest intelligence, the love of all the wise. In fact, the love of wisdom is where we get the word philosophy (philo-sophia). It was the study of where all meaning comes from, where all intelligence flows, the source of all light of the intellect. And this wisdom seems to have existed very deep within, even in the Soul, the very deepest aspect in humanity, even perhaps beyond all humanity, to a place of divinity within. Many mystics, sages, prophets, monks, nuns, saints, swamis, gurus, shamans, and others have dived deep into their consciousness, into the abyss of the roots of consciousness, to find this wisdom. And many seem to have recovered very similar threads, meanings, philosophies, understandings from that venture deep within the soul. This seems to be why there are many common elements shared across religious and spiritual traditions, such as the shared importance of love, compassion, mercy, and in doing unto others what you would have them do unto you (the “Golden Rule“). This is sometimes known as the perennial philosophy. It is a philosophy that seems to re-emerge again and again and again throughout history, and throughout the world, in places untouched by others so there is no way it could have been shared or passed between them. It seems to have emerged anew again and again in many different places, wherever there was one mystically-oriented who went deep into their consciousness to see what was Real there, the essence of Life and Reality, the Source of Being, and came back to tell others about it. I suggest that the “field” is our own self, our own consciousness, body, and being, and the consciousness and life within all beings. The treasure is the wisdom and knowledge of our own deepest Self, our divinity, which is hidden deep within us. Jesus taught that the “kingdom of heaven is within you” (Luke 17:21). When we discover this treasure, it is joy indeed, the kind of joy that Joseph first experienced in his First Vision. Unspeakable ineffable joy! It is a joy of knowing who you really are, your divine Self, your Oneness in God/Reality/Cosmos. Often it comes after passing through a dark night of the soul, a spiritual crisis, a “death” of self, a tragedy which upends the ego, which crushes the constructed “self” in the mind, that destroys the “self” we thought we were, and this can unsuspectingly and shockingly unveil the true Self as a Light that is brighter than the sun (the Christ, the Buddha-nature, the Atman, the Messiah, the Great Spirit, the Tao, etc.). It seems to be a Light associated with pure consciousness, pure being, pure knowing. In using seer stones to alter his consciousness, I suggest that Joseph was moving into these deep states of consciousness, divine states, states that are considered by some Godly, Supreme, Ultimate. They are states that connect more deeply with the unconscious, with the subconscious mind, and with qualities and abilities within ourselves that for most of us remain latent or hidden. In particular, they often reveal creative capacities that are not possible through the everyday waking ego state of mind. Generally when we say a specific human behavior or experience is possible or impossible, we are tacitly implying but seldom acknowledging that we mean “in our ordinary awake state.” Rare and unusual abilities and even some so-called impossible abilities and events may seem impossible to us because we have looked for them only in our default awake state. As we systematically examine other mindbody states, however, we are likely to find skills and experiences that don’t reside in our ordinary state. Thomas B. Roberts, “Three Humongous Ideas and a Dozen Merely Big Ones or the Psychedelic Future of the Mind Lite,” in Graham Hancock, The Divine Spark: A Graham Hancock Reader: Psychedelics, Consciousness, and the Birth of Civilization. See also Thomas B. Roberts, The Psychedelic Future of the Mind: How Entheogens Are Enhancing Cognition, Boosting Intelligence, and Raising Values. But I digress. The Book of Mormon, it seems to me, is a spiritual text containing “ancient wisdom,” the same as many other holy texts, scriptural texts, which contain wisdom derived from beyond the normal everyday ego state of consciousness, in mystical states of awareness. And this consciousness, and the wisdom that may be found in it, has been known in many different times throughout history, and in many different spiritual traditions, and thus it may rightly be called “ancient.” It might be said that it comes from the “ancient of days,” or in the LDS tradition “Adam” (D&C 27:11), which is what we ourselves are, adamah, humanity, the “ground of the earth.” In the larger Christian tradition, the Ancient of Days is simply a name for God. No, I don’t think there was any notion of Christianity in ancient Mesoamerica. There is no evidence for that, it seems. So I think Christianity, as such, did not ever exist in the pre-Columbian Americas, but that doesn’t mean that the perennial wisdom was not known there, that there was no knowledge or experience of this deeper spirituality, a spirituality that exists prior to all names and symbols, and which does touch a common Divine. I think they did know it, that they did have experience of it, that it was known through their own spiritual traditions. Perhaps their practices of sacrifice emerged from the sacrifice of ego needed to perceive such divine states, which seems to be common in all the world’s spiritual traditions. Their building of temples to the gods was their own efforts to interpret their mystical experiences, their visions of divinity, in ways that honored this greater Being(s), this greater Reality, and it was conditioned by their own culture, their own circumstances, their own ways of life and customs and people. No, the historical person we know as Jesus never visited America, it seems to me. There is no evidence for that. But, that doesn’t mean that no one had experiences of what has come to be known in mystical Christianity as “Christ consciousness” in the Americas prior to Columbus. I think they did, as noted above. People experienced the “Christ” in those ancient times, but they called it by different names. They knew it by a different symbol(s). They touched those pure states of being, those holy states of consciousness, those liberating levels of perception, that life-saving Grace that comes to those who go beyond ego-self in the mind. But they interpreted and translated their experiences of those states much differently than Jesus did, or the Christians that followed him. They interpreted it in the light of their own understanding. That’s not to say that Joseph Smith was aware of the perennial wisdom in ancient Mesoamerican cultures, or of Christ consciousness among them. I don’t think he was aware of that. And I don’t think he was retelling actual histories of the people who lived there and experienced these forms of spirituality. I think Joseph’s mind was in the act of creating spiritual mythology and allegory, the same way that all spiritual allegories seem to be made, by mystical minds in nondual states of consciousness, which are then interpreted and translated into forms, symbols, stories, myths, names, and rituals to fit the culture where it is found, so as to be of benefit for the people that live there and then. I think Joseph’s retelling of the Christian story in the Book of Mormon came out of his own experiences of Christianity, of his own questions about Christian spirituality that were floating around in his mind, and especially of his own mystical experiences of God which he framed in a Christian understanding of the Divine. Joseph’s mind did what prophet-mystic minds do—it “translated” mystical experience and consciousness into forms of understanding common to the people of that day and time. The many visions of God, of the supernal Light, of “Jesus Christ” that appear in the Book of Mormon I think was Joseph’s own deeper consciousness at work in divine states of perception and creation, developing this detailed allegory in order to transmit the experiences that Joseph had in those states, the way his mind “interpreted” his experience of God in a Christian framework. The “coming” of “Christ” to the Americas, I suggest, is a retelling of Joseph’s own experience of the “coming” of “Christ” to him, beginning with his First Vision, as I wrote about here. I do think Joseph experienced “Christ consciousness,” perhaps many times, this deeper state of awareness beyond ego, and he actually spoke as if he was “Christ” on numerous occasions. I think many of these words flowed from a nondual state of consciousness in Joseph. It didn’t come from an external Jesus somewhere, but from Christ consciousness in Joseph. The King James Version in the Book of Mormon? I think the appearance of the King James Version in the Book of Mormon is no longer a problem when viewed from this interpretation of things. Joseph was not reciting scripture that was written anciently. It was perennial wisdom that was flowing out of his own mind and consciousness. And since Joseph’s mind and memory was heavily steeped in the scriptures of the King James Version of the Bible, whenever he wanted to express something that had already been formulated in Christian language that was adequate in the KJV, he simply repeated that same language from his deep memory. I don’t think he directly used any reference material, or read these verses from out of the Bible as the dictation was taking place, but I think it came from out of his own memory of the Bible, of what he had read himself, or heard from preachers. It’s remarkable what can be recovered from memory in altered states of consciousness, as has been shown in hypnosis. The Spirit really does bring all things to remembrance (John 14:26). I myself have had childhood memories return to me which I had entirely forgot, in very detailed ways, in these deeper states of consciousness. They rise up from the depths of mind. Who was the “angel Moroni” then, if not a real person returning from the dead, a resurrected soul of an actual person who lived in ancient America? I think it was an aspect of Joseph Smith himself, a personality perhaps hidden deep within Joseph. Just like Jane Roberts channeled a personality known as “Seth,” and Pearl Curran channeled a personality known as “Patience Worth,” so Joseph Smith channeled a personality into consciousness known as “Moroni,” as well as all the other personalities in the Book of Mormon. I don’t think these were actual people returning from the dead, but rather deeper aspects of Joseph himself, alternate personalities hidden within him. In our modern disenchanted world today, we have discounted experiences that happen within our consciousness if they don’t seem to have any external correlate in what we might call “consensus reality.” But just because it doesn’t happen “out there” doesn’t mean it is not real. It is still a real experience, if only internal, in Spirit, and it should be valued as such. After all, aren’t all our experiences of the world perceived internally? Have you ever had an experience of the world that was external to you? They are always mediated by our minds, and we only see them in consciousness. As some great minds have noted, “We don’t see the world as it is, we see it as we are.” These more exclusively internal experiences, then, should not be discounted as worthless, but as meaning-making experiences of our deeper consciousness, our deeper mind. What is it our mind is trying to say to us through them? I think all of the personalities of the Book of Mormon emerged from deep in Joseph. They are what we might call “alters,” multiple personalities or aspects of Joseph which only emerged when consciousness shifted into non-ordinary states. His mind was creating them on-the-fly, imbuing them with unique personalities, styles of writing, histories, experiences, words. I think many of them were symbolic reflections of Joseph’s own personal experiences in the world and with his family and friends and circumstances. No, I don’t think so. Not in actuality, or physical reality. At least not plates that were authentically ancient or gold. But I believe that Joseph truly thought there was. I think he actually saw these “gold plates” numerous times in mystical vision, in his mind’s eye, in imagination, and I think he truly believed that he could manifest them in reality. I don’t think he was trying to pull the wool over anyone’s eyes, but rather trying to get people to manifest the kind of “faith” necessary so that they could have mystical visions like he had had, so they could see like a seer the plates as he had seen them, gold, symbols, and all. I wrote extensively about this in my conference paper on the literary alchemy. That doesn’t mean there was no physical object at all. I think there was an object. I think Joseph made it, perhaps out of “common tin,” maybe as a kind of talisman or amulet, which he may have thought he could transmute into the real gold plates, as I explained in my paper. This is just like the medieval alchemists would try to transmute tin or other base metals into gold, but thereafter find that they were really transmuting their self into something spiritually far greater. In the beginning Joseph perhaps thought that through his deep “faith” he could make his tin plates turn into the real gold plates of his visions. And ye [witnesses] shall testify that you have seen them [the gold plates], even as my servant Joseph Smith, Jun., has seen them; for it is by my power that he has seen them, and it is because he had faith. When the translation was finished, Joseph likely discarded the tin plates he had made, as he did not need them anymore. They were a distraction from the spiritual “gold” he had unveiled within himself and “translated” as the text of the Book of Mormon, which was now going to be published for all to read. And yet, even this text in English was still “sealed,” another alchemical term, a mystical wisdom embedded within the text that could only be recovered by those who exercised the same kind of faith that Joseph did to enter deep states of mystical consciousness. The “sealed portion” of the book, I perceive, is the Book of Mormon itself, and the hidden wisdom that may be personally recovered within each and every person through nondual states of consciousness (see my paper). I believe the Book of Mormon is a real genuine spiritual text, and I think it may have a close comparable in the modern spiritual text A Course in Miracles (ACIM), published in 1976, which seems to have been produced in a similar way. Like the Book of Mormon, ACIM is said to be “scribed,” not written, by Helen Schucman, “who claimed that it had been dictated to her word for word via ‘inner dictation’ which came from Jesus.” Like Joseph, Helen had “a series of inner experiences that were understood by her as visions, dreams, and heightened imagery.” That Helen received this wisdom through inner auditory awareness of a voice, rather than an inner visualization of symbols as Joseph, does not seem to matter. They both seem to have had similar deep inner awareness and mystical experiences, which revealed spiritual texts that they recorded and are now revered by millions of people today. The “pure love of Christ,” that we may be “possessed” with it, “filled with this love,” that we may realize we are “sons of God,” that when he appears “we shall be like him,” that “we may be purified even as he is pure.” This is the purpose of the Book of Mormon, to help people fully realize this pure Love that Christians also call “Christ,” that they may realize it in themselves, and to be filled with it in their own life such that they realize “Christ” is in themselves, that “Christ” may appear even in them. Similar to the Book of Mormon, ACIM has been heavily criticized and condemned by religious zealots or fundamentalist literalists as “psychobabble,” a “Satanic” work, “demonically inspired,” and “The New Age Bible” (perhaps similar to Joseph’s “Golden Bible”). Similar to the Book of Mormon, it was said to be revealed by Jesus, and although I don’t think that either of these books literally came from the historical person we know as Jesus of Nazareth, they bear all the hallmarks of having flowed from out of “Christ consciousness,” a deep form of nondual awareness which perceives truths beyond the personal ego-self mind, transcending the everyday waking consciousness that most people are familiar with as theironly state, and which goes by many different names in other traditions. This is a radical reconstruction of the Book of Mormon, I know. But I think it is this kind of radical reinterpretation of the narrative of what the Book of Mormon is that we will need if the book is to be taken seriously as a spiritual text heading into the 21st century. It will become no longer viable to argue that it is truly a historical text from Mesoamerica. That won’t be acceptable to most people. They will clearly see that that is not accurate. But if that is the only option available to believers, to readers, to seekers, then the book may go mostly extinct as a spiritual guide. People won’t take it seriously. Is this a “true” interpretation? No, I don’t think my interpretation is absolute truth either. It is also a narrative, a story, a construction, an interpretation, a translation based on my own personal understandings having been a Mormon for over three decades, and through my own mystical experiences and contemplative consciousness which have taken me to “places” in the mind which I believe are quite similar to Joseph’s experiences. So I do think this is perhaps a better interpretation, a better narrative of the origins and circumstances surrounding the Book of Mormon than the one the LDS Church currently officially presents. I believe it brings the narrative into 21st century spirituality, even interspirituality and intermysticism, which I believe will become more and more widespread as our world becomes more globalized. What do you think about this reconstruction of the origins of the Book of Mormon? Do you think it helps make better sense of where it came from, how it might have been produced, and what its value is? Does it help you see how it may still be a valuable spiritual text and guide? How do you interpret a better narrative? What difficulties do you see in this interpretation that could be improved? We’re interested to hear your views. Please share your thoughts in the comments below or on Facebook. Previous postIs God a Male Human, or Two Males, or maybe Three? Do I hear Four? Or is it More? Thanks Brian for sharing your thoughts on this. I appreciate you adding your perspective and ideas. You bring up an interesting idea about social constructs of knowledge. Is a chair a chair outside of all social constructs? I’m not so sure. A chimpanzee doesn’t know what a chair is, nor perhaps someone from an indigenous culture that doesn’t use chairs. Even the word itself “chair” is in English, which of course requires us to know many things about the English language to even begin to understand what the word is referring to. At some point a human invented a chair, prior to which there were no chairs, and he/she had to show others what it was, and the idea spread. When we are babies, we don’t know what chairs are, so we have to be taught what a chair is for, by using one, being shown it by our parents, how to properly sit in one, by falling out a few times, etc. What is absolutely true about the chair, such as its chemical elements, may be true in themselves at some level, but much of the rest of what we know about chairs as humans seems to have evolved from human culture and social conditioning. It seems a chair is a chair because of humans. I think in order for spirituality to be effective, it needs to reconcile to a large degree with other forms of knowledge. If it doesn’t, then there exists a gap, and that gap seems to widen over time, forming significant cognitive dissonance. We have to try to believe two completely different narratives at once. In mysticism there are many paradoxes, but they always reconcile at a higher level. Finding those reconciliations seems to be a large part of the religious/scientific discourse, correlating inner and outer experience of reality. Bryce, I don’t have a problem with any of those particular elements that you find problematic. I think there are good explanations for all of them. It seems to me that you’ve ceased to believe in miracles, dear brother. Let me assure you that God is a God of miracles–and if there were no miracles attendant to the process of restoring the gospel that that would be a cause for raising a red flag. Thank you again for commenting, Jack. That’s fine if you think there are good explanations. For many, there are not. They just aren’t convincing to most outside of the church, and I think that is telling and should perhaps bring pause. I think it may be telling us that something is amiss but we may be ignoring it. A phenomenon, if it is real and true, must not be true only inside the church, but outside of it as well. Truth is true everywhere, or it is not truth. My view of miracles has changed from what it once was. I no longer think that God works by breaking nature, by completely subverting the natural order and laws of the universe, but rather God is in perfect harmony and oneness with nature and its laws. Miracles, to me, are that phenomena that go beyond what the human mind is capable of comprehending, that transcend human intellect altogether. It’s not merely what we currently don’t understand (“God of the gaps”), but what we are deeply unable to ever comprehend with our finite human minds. That is where I believe the true miracles are, and I do think they are bountiful indeed. While we may not be able to comprehend them, I do think we can experience them, and they remain ineffable in their original nature. Any theology derived from the restored gospel will be informed by a strong materialism of sorts. We believe in real times, places, people, and events. We believe in a literal creation and resurrection. This implies that we believe in a God who knows how to work with the elements–and that miracles from our vantage point are always a matter perception or the lack thereof, dare I say. I believe in a very large cosmos with numerous sacred divisions–and that there are beings who know how to traverse them. One day when we have learned how to do so ourselves we will see that it is a matter of knowing and having access to the sacred operations that enable God to do his creative work. Re: Explanations: IMO, the main reason most folks don’t accept the foundational claims of the church is because they involve revelation–contact with an upper world. And to be rejected because of a claim to revelation has been the heritage of the saints from the beginning. I think that kind of strong materialism/literalism may be missing a great deal of deeper spiritual wisdom, unfortunately. Maybe God doesn’t “work with the elements” but rather incarnates its Self as the elements, even as living beings. Maybe the “Word becomes flesh.” Perhaps when we realize the Word has become us as well, even our flesh, then we will know how God creates, even through our own hearts and hands. include everything from a purely mental exercise, as it were, to actually being transfigured and transported to other locations in the sacred cosmos. And so, when I speak of materialism–that’s not to suggest that we must place our confidence only in those things that are grounded in a tangible reality. Most of our experience with heavenly things will necessarily be inward manifestations of light and truth. Certainly there is much to be discovered within our very selves–but (IMO) unless we make contact with the Creator (as a Sacred Other) we will never be able to place ourselves within a context that reveals our true place and identity in the cosmos. We cannot know who and what we truly are — or truly might be — without knowing God–at least, not in the fullest sense. Come back dear brother–and walk the path of the true gnosis. Remember there is only one Name given under heaven whereby we can return to the Father. And that Name is possessed by One who’s identity is both singular and cosmic its sweep. He is both your God and my God–and He is mighty to save all who will come to him. The joy of unity with God (and each other) can only be experienced after we first comprehend our separateness. Indeed, Lehi talks about the purpose of our existence — that we might have joy — as being dependent upon (among other things) our ability to comprehend opposites. That’s one of the primary purposes of our being here in this lone and dreary world. It’s painful to be separated from God. But, in the end, we will have a far greater appreciation for our unification with him after we have wrestled with our existence without him. Yes, I agree with “Lehi” (who I think was actually a personality within Joseph’s consciousness) that the oneness of God manifests itself in dualities, in opposites, in “separates” as we Fall into the duality of the “natural man” and everyday human life. But I also perceive that the purpose of our spiritual journey is to be redeemed from this state of separateness, to overcome it, to transcend it, to be “saved” from it, to “put off the natural man,” and to return to oneness or at-one-ment in God. We don’t have to remain in the “lone and dreary world,” but we can and should return to Eden and the presence of God. We don’t have to remain in painful separation from God. God very much wants us to return to God, to be in God’s Presence, even in this life. That is what the at-one-ment is all about, returning to oneness in God as Jesus did, realizing for ourselves that “I am in God, and God is in me” (John 14:11). This can and should happen during life, and is the goal of all true spirituality. I perceive that the goal is not to comprehend our separateness, and the opposites of existence. I think that is plain for all to see. Rather, we are trying to transcend all this separateness, this fallen condition, to see the unity of opposites, and to ultimately return our consciousness to oneness in God. I agree with much of what you say here, Bryce. Only I believe that our reunification with God will be far more profound than it was in the beginning. We will be able to identify with him to a much greater degree than we did before because of what we will have learned in the process of coming to him out of the world. Also, I’m sure that you already know where I stand on historicity. I believe that certain elements are literally true–while others may be embellishments and whatnot. I believe that Christ literally appeared to the ancient Nephites–and that he showed them how to become one with both himself and the Father. We get a “snapshot” of sorts in 3rd Nephi of the process of purification and reunification with God. Outwardly, there was only a change in countenance. But inwardly, their hearts were knit together–both with God and each other. This is what Joseph Smith spoke of when he said (in so many words) that we will have the same sociality in the next world that we have here–only it will be coupled with glory. Yes, our union with God is profound. More profound than we could ever imagine or ever describe. Our identification with “Him” is so great that there is little to no difference. For we will realize that we are an incarnation of “Him,” a “Son” of God, and always have been. It’s the most beautiful recognition ever. I find it interesting that never was Christ more aware of his own will than when he was challenged, at the point of infinite suffering, to recognize and choose his Father’s will. I think the same holds true when he experienced a fulness of joy–when he wept over the knowledge that none of a particular generation among the Nephites would be lost. It’s my opinion that while the Father and the Son embrace each other wholly and completely without any reservations they also never lose sight of the Other. For while they experience a fulness of joy in their unification–without the fact of there being a sacred Other there would be no object of love. And without love there is no joy.